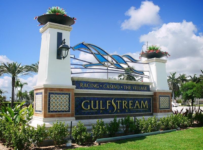 Sunday, July 27 — Burn the Mortgage rallied from sixth place entering the stretch and beat Decisive Moment by a decisive 4 ½ lengths in Saturday’s $75,000 Eight Miles East Stakes at Gulfstream Park. 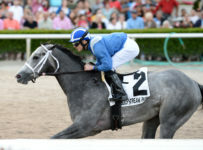 Dustymour finished third, another half length back, in the 1 1/16 mile turf stakes for 3-year-olds and up. It was the first stakes victory Burn the Mortgage, a 5-year-old son of Kitten’s Joy. Burn the Mortgage is owned and trained by Mike Maker. 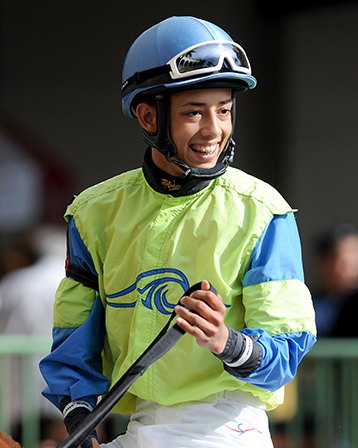 Edgard Zayas rode Burn the Mortgage, the 8-5 favorite. 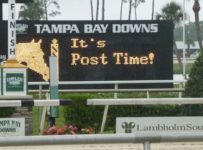 He won in 1:43.97 over a course listed as yielding, following heavy rain earlier in the day. 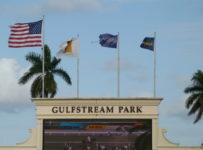 Skies had cleared by the start of the race day. 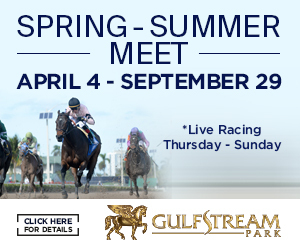 Gulfstream will have 11 races today with first post time of 1:15 p.m. 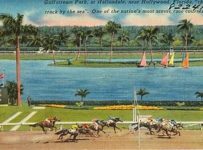 There are no stakes races on the card. 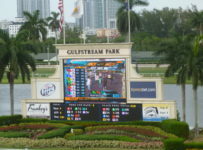 There will be a guaranteed payout of at least $50,000 if there is just one winning ticket on the Rainbow 6, which requires picking the winners of the last six races. 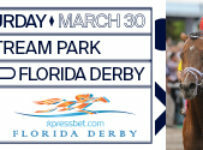 There were multiple winners Saturday, with each ticket paying $384.62. 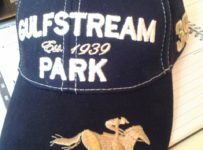 *Gulfstream had 105 starters in its 11 races Saturday. 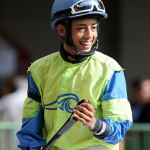 It has averaged an impressive 9.3 starters per race during its 15 racing days since July 1, following the end of head-to-head racing with Calder. 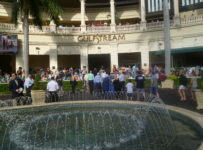 Gulfstream had all-sources handle of $4,357,297 on Saturday. It has averaged $3.8 million per day this month, compared with about $3 million during the second half of June. 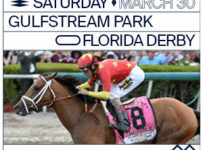 Weather conditions undoubtedly cost Gulfstream at least several hundred thousand in handle on Saturday. 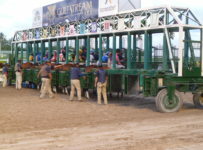 Three races were moved from turf to dirt, with a total of 13 scratches in those races.